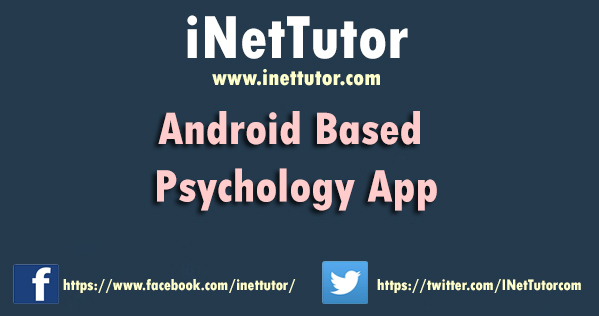 Psychological application collects the most important concepts of the different psychological currents developed by human. This features Psychoanalysis, Relational psychology, Psychological Facts and Psychological Quotes. It also has tests that can determine attitude and characteristic of a person. It has visual tools like photos for better understanding. It will give us more information about human psychology and behavior by the facts that are stated and include on the app. Researching about Psychology help us to understand and explain how people think. The proposed app will provide psychological facts, test and situations. This app will better explain some of human curiosity and barely provide information about psychology and mental behavior.